Do you need heating repair or a new system? Berico weighs in. While many people around the country think of the Greensboro, NC area as constantly filled with warm sun and relaxing breezes, residents know that sometimes North Carolina can get downright cold. While there’s hardly any threat of blizzards or below zero temperatures, homeowners in this area need to have a good working heating system. When it’s time to cover the pool and curl up in the recliner, your Greensboro heating system can be as important as the roof over your head if you want to stay comfortable. Usually, homes in the Greensboro area are heated with a forced air system. These systems are generally less expensive to install and run efficiently, forced air is gaining more and more popularity in North Carolina. Forced air systems include oil, propane, and gas furnaces. All are great options for homes in the Greensboro and Guilford County areas. Heat pump systems are a little less common, but this is because the technology is newer. In these systems, the same ductwork is used for both heating and cooling the home. The outdoor unit will produce both warm and cool air. While it doesn’t have the exact same heating capabilities as a separate furnace, heat pump systems are very convenient and a good choice for creating a comfortable temperature in the mild southern North Carolina climate. If your heating system or furnace is malfunctioning enough that you need several visits from the heating repair technician each winter, it may be time to consider a new heating system. Many Heating and cooling companies often have score sheets that help the home owner decide on the best time to repair or replace their heating and cooling systems. Homes using a furnace that is past its useful life should also consider a new furnace, even if it is working okay. Older systems are known for wasting energy, with some running at below 80 percent efficiency. New furnaces can run at more than 95 percent efficiency in some cases, and will end up saving you on utility bills even during a mild winter. Repairing heating and cooling units requires years of training and expertise to do right. As a homeowner, your best option for lowering repair costs is not in do-it-yourself repairs, but in prevention. 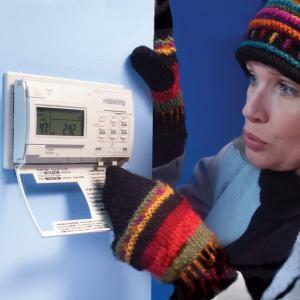 If you see a problem, it’s best to call for heating repair as soon as possible. It is also a good idea to have your heating system inspected by a Berico professional on a regular basis to fix small problems before they get worse, and to identify potential problems that can be inexpensively prevented. The worst thing you can do is let a problem go unattended, as there’s a good chance it will become worse when you need heat the most.